Your small breed pup may be big in character, but when comes to food they need a food tailored to their size. 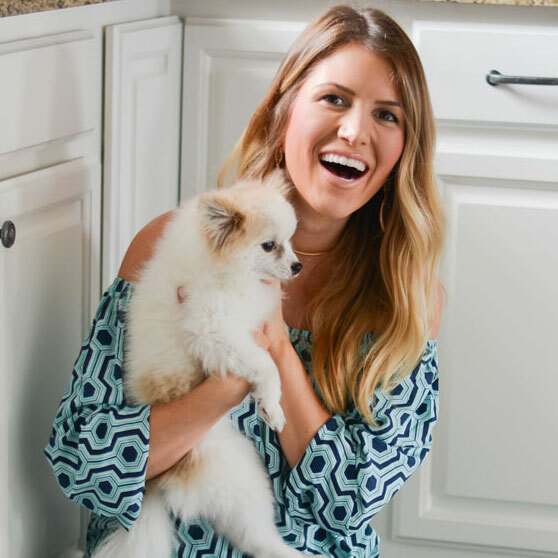 Our Freshpet veterinarian, Dr. Katy Nelson, shares some insights into the unique nutrition needs of small breed dogs. Little dogs have little mouths, so it is important to take this into consideration when choosing their food. 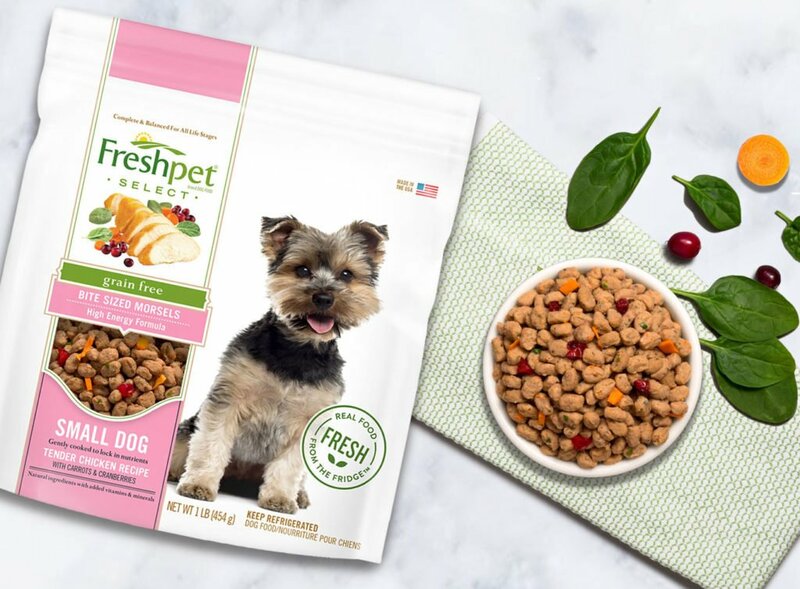 For small breeds, the best food options are those that come prepared in smaller bites, like our Freshpet Select Tender Chicken Recipe for Small Dogs, or food that can be customized for their bite size, like our slice and service rolls. Small dogs may have big personalities, but they don’t have big stomachs. This means that even the smallest food has to be packed with vitamins, minerals, protein, fat and carbohydrates to ensure they get all the nutrients they need. 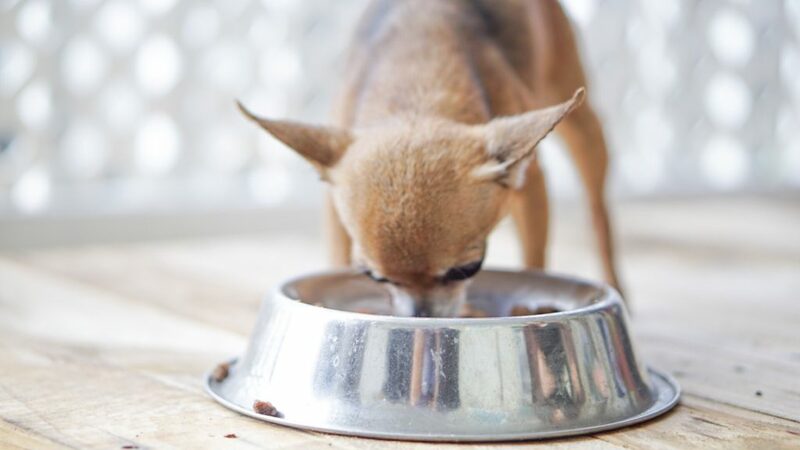 Since small dogs need to consume large qualities of food in relation to their body weight, they require several small meals throughout the course of the day. 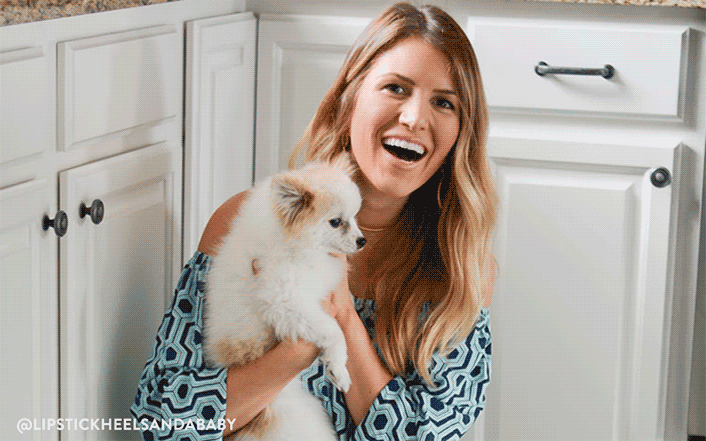 One of the fun things about little pups is that they’re the perfect size to carry around with you. However, this can result in your pup missing out the exercise they need to burn off the calories they consume. One way to overcome this potential weight gain is to ensure that you are following the recommended serving amount to make sure your pup maintains its optimal weight. Even a pound or two of extra weight can be devastating to their little joints, creating unnecessary strain and putting their future at risk for arthritis, heart disease and even cancer. Having chews and bones are a good first step to keeping your pup’s teeth clean, but it’s still important to follow a proper dental routine. Talk to your veterinarian about which toothpaste and brush combo they recommend as well as how often you should be brushing your dog’s teeth. Up to three bushings a week has been proven to prevent tartar buildup and ward off gingivitis, so this is a great number to start with. Small dogs grow faster and reach maturity at a younger age than a large breed dog – usually long before their first birthday. What many people don’t know is that in addition this, they also have a faster metabolism compared to bigger pups. This means that small breeds have higher caloric requirement per pound of body weight, so foods that are high in protein and fats a necessary for optimal health. Choosing a food that is made especially for small breeds, plus making sure your pup gets plenty of exercise and dental care will help your four-legged loved one lives a long and healthy life. The post What to Consider When Choosing Food for Your Small Breed Dog appeared first on Freshpet.